Bratislava, February 7 (TASR) – The election of constitutional judges will be extremely important for Slovakia’s future and people’s trust in the state, democracy and justice, with the result of the vote in Parliament being an important signal to the public that it is in the interests of MPs to restore confidence in the state and its political leadership as well, said President Andrej Kiska in his extraordinary address in Parliament on Thursday. The head of state appealed to MPs to elect 18 good candidates for constitutional judges and announced that he’s ready to appoint nine of them without undue delay. „It’s up to you to show how important it is for you that Slovakia is a country that respects the rule of law. It’s up to you to show that you want the most difficult social and legal issues to be dealt with by the best of the best, including in terms of both the professional and moral aspects,“ he told MPs. According to Kiska, there are enough candidates. „It’s been confirmed that we have sufficient high-quality and honest experts in Slovakia. There’s no doubt that it’s possible to set up a trustworthy Constitutional Court from today’s 39 candidates,“ pointed out Kiska. But whether that happens, whether Slovakia has a functional Constitutional Court, able to defend Slovakia’s constitutional order, is now in the hands of MPs. 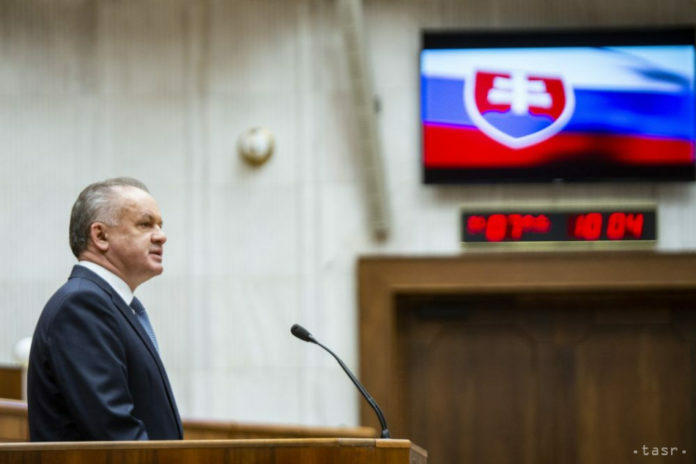 „The outcome of the upcoming vote will also be an important signal to the public, a clear message about your stance on the obligation to restore the confidence of the Slovak public in the state and its political leadership,“ said Kiska. According to him, the Constitutional Court, whose future is being decided in Parliament, is one of the most important institutions in the country. „As citizens, but also as elected representatives of the people, we put our confidence in it, trusting that it will impartially and independently interpret the Constitution, decide on our rights and freedoms, guarantee the democratic character of the state and protect the rule of law in Slovakia. The strength and convincing ability of institutions is, however, provided by the abilities and credibility of those who form them,“ stressed Kiska.